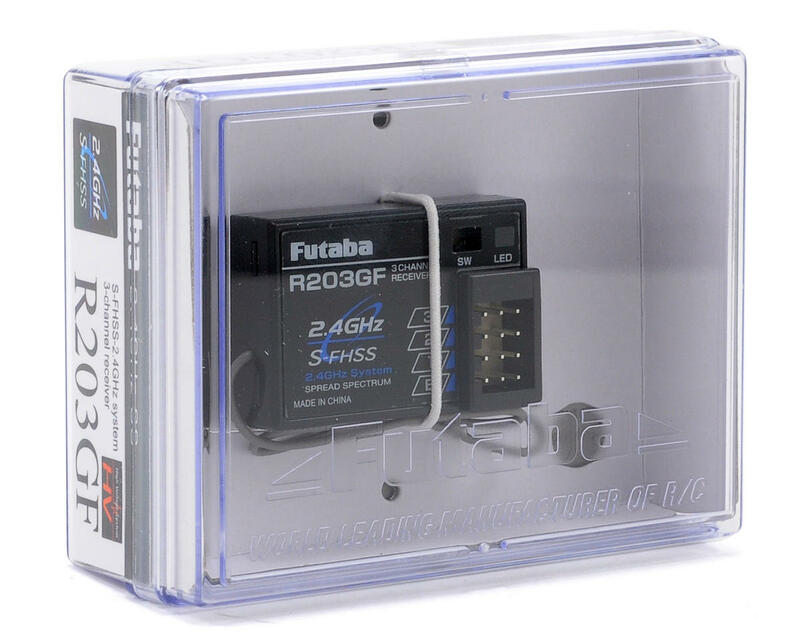 The Futaba R203GF 3-Channel 2.4GHz S-FHSS Receiver is compatible with Futaba FHSS and S-FHSS transmitters. 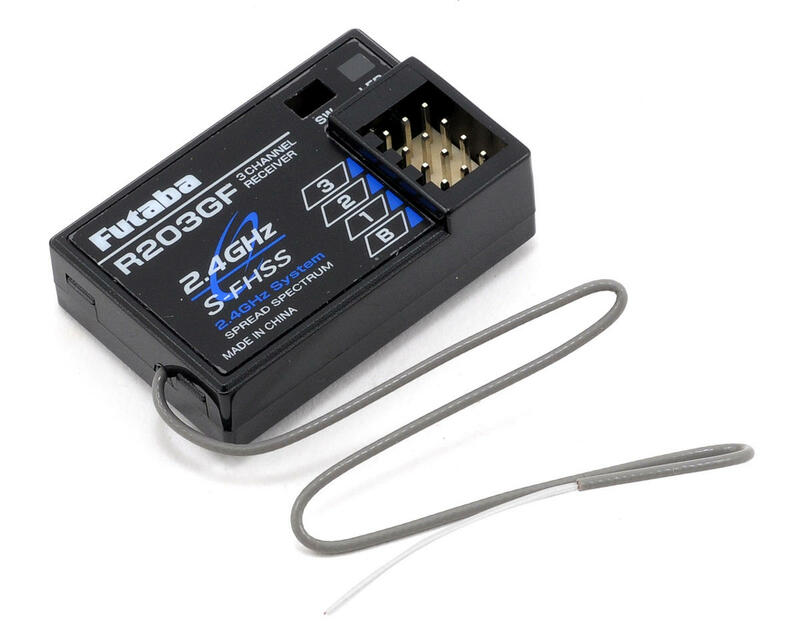 Futaba S-FHSS 2.4GHz receivers benefit from Futaba's patented Pre-Vision™ circuitry, which scans incoming data and corrects errors before they can become problems. They sync perfectly with Continuous Channel Shifting, handling hundreds of frequency changes per second with flawless precision. Plus, they all offer the Easy-Link™ advantage — the feature that allows the receiver to “learn” the transmitter module’s unique code with the push of a button and establish a unique, unbreakable bond between the two. Frequency Hopping Spread Spectrum (FHSS) technology minimizes interference from other 2.4GHz systems. Easy Link prevents unwanted signal conflicts by using a special, pre-assigned ID code. High-voltage operation. NOTE: This receiver is NOT compatible with 2.4GHz FASST or FASSTest systems. It will work with FHSS and T-FHSS transmitters, but transmitter mode will need to be changed to from T-FHSS/FHSS to S-FHSS mode. NOTE: This receiver is NOT compatible with 2.4GHz FASST, FASSTest or T-FHSS systems. Probably the best value for money. At the opposite to other models, this receiver is not disturbed by the high current drains made by the most powerful digital servos. It was easy to bind and did it no issues. Really small but works great with my 3PV 3. Went into my brat fitted it upside down under the driver.